I was wondering what everyone's settings were for their color profile? Right now, I have mine at 2 notches from warmth and natural right now. 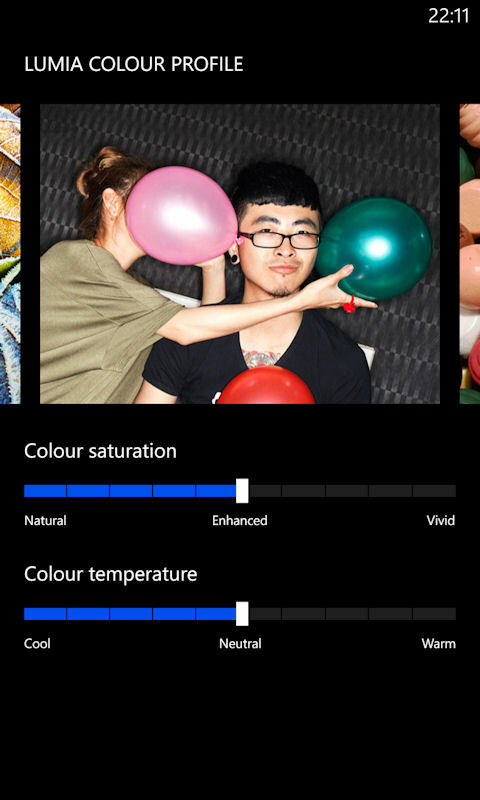 I change my color profile frequently...im still hoping WP8.1 has the custom color option for themes and more options for profile settings. I also like it...good to have it. Maybe once every few months. My bad. it happens when you are a Colts fan and watching the game! Yea. I actually just moved to Texas. Lucky lol. I have a sister who lives in Texas. I haven't changed mine at all. Blue and it will probably stay blue. Last edited by MrWhiteman; 10-24-2013 at 02:58 AM. I like Indiana. Both places have their advantages and disadvantages. Yea, Indiana isn't that bad, and I'm sure once I got to Texas I wouldn't like something. I tried when I first got the GDR2/Amber update, but strangely, I don't really notice any difference in the colors on my screen. Xbox One compatible keyboards: Does Xbox One have Bluetooth or just USB?